A law professor without political experience was finally appointed as Italy’s new Prime Minister on Friday afternoon. Born in Puglia, southern Italy, Conte currently lives in Florence, where he teaches civil law at the University. When he joined the Five Star Movement, he showed to back center–left political ideals. This is not the first time the press put its fingers on Conte’s name: he was originally mentioned as a potential Public Administration Minister in the event the Five Star Movement won a clear majority, at the beginning of the electoral campaign. Sworn by President of the Republic Mattarella, the new Prime Minister will act as the cornerstone of a trumbling political architecture. I do refer to the new populist government – as the international community loves to call it – whose leaders stimulated euroskeptic and anti–immigrant sentiments in their path to office, so far. Last week, Giuseppe Conte took an oath of loyalty to the Italian constitution in a gilded room in the Quirinal, Italy’s presidential palace in Rome, ending a long period of political turmoil. Even though all the eyes will stick to the Prof. Conte’s figure, it must be considered that the driving forces in his administration will be the leaders of the right-wing League party and the anti-establishment Five Star Movement. 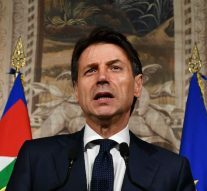 In a first stance, President Mattarella vetoed the choice of finance minister, while he approved a reshuffle of the Cabinet members. Conte and his Cabinet ministers were sworn in on Friday, all together with Prof. Savona, the apparently unwelcomed minister – who expressed enthusiasm for pulling Italy out of the euro – who shifted to the European Affairs Ministry, a less high-importance Ministry, or, as we say in Italian a Ministry “senza portafoglio”. On June the 5th, Conte and his new government faced a confidence vote in parliament – the Senate expressed a positive vote. At both national and EU level, the League faced widespread criticism for xenophobic, anti-immigrant policies, very similar to those supported by far-right parties across Europe, including Germany’s AfD and France’s National Front. League leader Matteo Salvini, who promised during the election campaign to expel half a million illegal immigrants from Italy, has been sworn in as Italy’s new interior minister, while Five Star leader Luigi Di Maio is now labor and economic development minister, a key position to fulfill his campaign promise of a universal basic income. This will not be the beginning of a European crisis. Maybe Italian, but not European for sure. As far as national records are concerned, this was the longest period in the country’s postwar history between the election day and the creation of a Government. For weeks, Di Maio and Salvini were locked in very difficult talks with Mattarella and struggled to form a government. Tensions have also risen between the two parties and the President, in particular when Di Maio called for Mattarella’s impeachment following his rejection of Conte’s choice of Savona as the finance minister.